With the onset of warmer weather, the harshness of winter is but a fading memory for most. Left undetected, the damage caused by winter’s fury is a reality that can lead to premature roof failure. 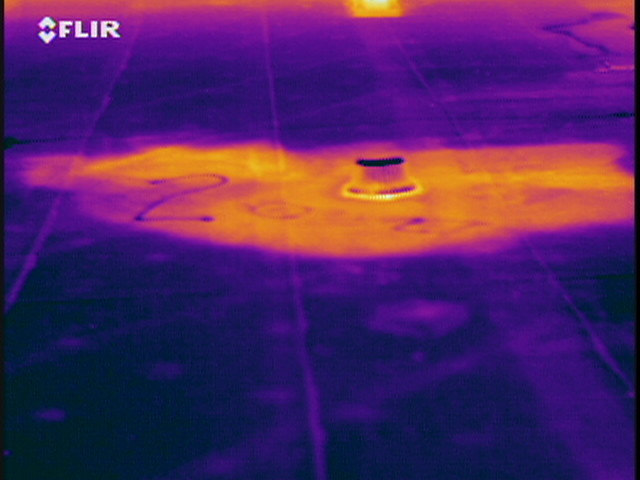 Fortunately, an infrared inspection of your roof can detect evidence of problems before they get out of hand. Performed under the proper conditions with the right equipment, an infrared inspection can detect evidence of latent moisture within the roofing system often before leaks become evident in the building. The best candidates for infrared inspection are flat or low slope roofs where the insulation is located between the roof deck and the membrane, and the insulation is in direct contact with the underside of the membrane. Applicable constructions are roofs with either smooth or gravel-surfaced, built-up or single-ply membranes. If gravel is present, it should be less than ½” in diameter and less than 1″ thick.